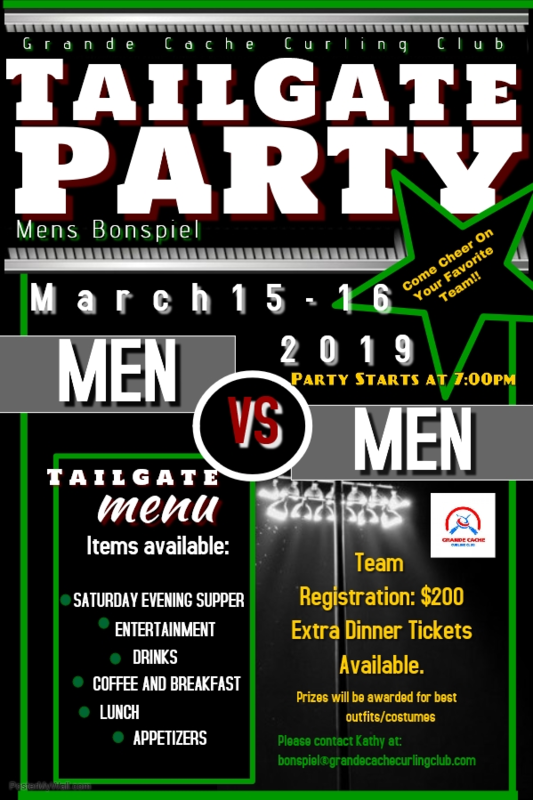 The Grande Cache Curling Club will be hosting their 2019 Men's bonspiel on March 15-16th 2019. Saturday evening dinner will be Ribs, Baked potatoes with fixings and Caesar salad along with 2 desserts. Prizes will be awarded for best outfits. Come "Party" with us and cheer on you're favorite team! !